Gas boiler servicing is our speciality. 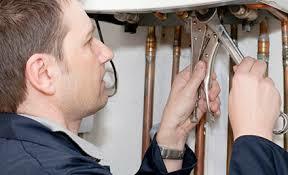 Normally your manufacturer will state that your Boiler needs servicing at least once a year. Legislation in Ireland states that anyone working with Gas appliances in every respect whether it be Boilers, Cookers or Heaters the work must be completed by an R.G.I. (Registered Gas Installer). We only use fully qualified Registered Gas installers. At Emergency Plumbers Dublin we don’t just cover emergencies. Our Plumbing team operate on a 24/7 basis with a totally free call out service covering county Dublin. So whether it’s an emergency or not just call 01-6874850 and one of our Dublin plumbing team will be happy to come out to you and offer a free, no obligation quote for any work you may need doing. About our Gas Boiler Servicing team. All of our team are fully qualified gas boiler technicians, some with upwards of 30 years experience with all types makes and models. This means when it comes to servicing gas boilers you are in safe hands. We pride ourselves on our professional customer service. All of our work is based on our reputation; this is why our customers are so important to us. You can be confident that our excellent service and quality workmanship will always be the same. Whether you need you Gas Boiler Servicing or if it needs to be fixed, replaced or serviced. Please feel free to call us on 01-6874850 and to speak to one of our fully qualified R.G.I. experts and discuss any concerns you may have. Having you Gas boiler serviced correctly will give you peace of mind, from a toxic emissions point of view. It will extend its lifespan and reduce your heating bills.